This book is about a girl called Meg. Even though the title of the books makes it sound like a non-fiction book, it is a wonderfully written, emotional story. Meg has a big problem in this book! Her mum disappears on a ten day holiday to Mayanmar and Meg is left with her Granddad, to look after her baby sister Elsa and her smelly dog Pongo. However, it’s more like she has to look after Granddad, rather than him looking after her! Her mum’s disappearance couldn’t have come at a worst time. 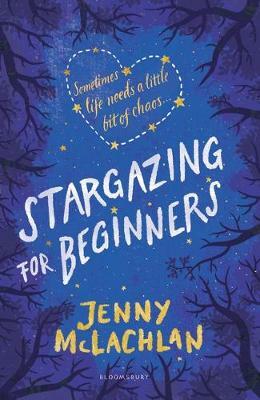 Meg is desperate to win a competition to go to Houston, to kick-start her dream career – an astronaut. But Mum leaving isn’t the only thing in her way; she needs to conquer her fear of stage fright, beat her rival Ed and make some friends on the way! What happens next is a rollercoaster of emotions. Doe Meg make any friends? Does Meg win the competition? Does Meg forgive her mum for leaving her? I recommend this book to 11+ science fans. I give it 5*. From the title, I wasn’t sure how much I would enjoy it but in the end, I couldn’t put it down and it has become one of my favourite books!